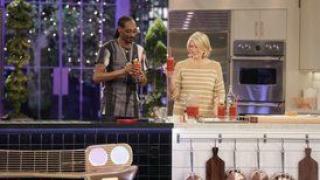 When will be Martha & Snoop's Potluck Dinner Party next episode air date? 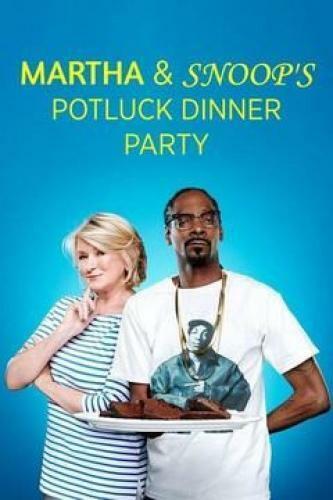 Is Martha & Snoop's Potluck Dinner Party renewed or cancelled? Where to countdown Martha & Snoop's Potluck Dinner Party air dates? 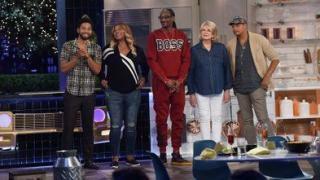 Is Martha & Snoop's Potluck Dinner Party worth watching? 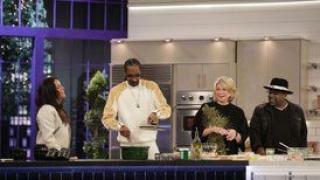 Martha Stewart and Snoop Dogg are teaming up together to throw a dinner party that will be the hottest ticket in town. Each will invite celebrity friends over for a half-baked evening of cocktails, cooking, conversation, and fun where nothing is off limits. The unlikely pair, who most recently were on ABC's 100,000 Pyramid, have quite a storied history that includes joint appearances on Martha's talk show and the famed Justin Bieber Comedy Central Roast, among others. Martha & Snoop's Potluck Dinner Party marks their first co-starring project. "At our dinner party, we will exemplify America's fascination with food, entertaining, and celebrity. 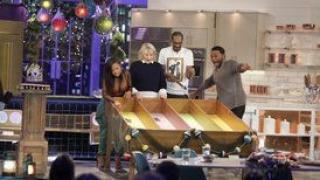 Martha & Snoop's Potluck Dinner Party will redesign the traditional food competition shows in a new, different and very funny way," said Stewart. "My homegirl, Martha and I have a special bond that goes back. We're gonna be cooking, drinking and having a good time with our exclusive friends. Can't wait for you to see how we roll together!" said Snoop Dogg. T-Pain and Karruche Tran learn how a sausage is really made. Plus, T-Pain teaches Martha how to autotune her recipe. Don Cheadle, Sherri Shepherd and Chilli from TLC sweat it out with Snoop and Martha in an extreme hot chili-eating contest. And later, rap sensation KYLE shows up to sing his hit, iSPY. 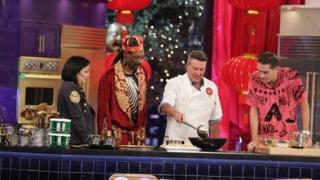 Martha & Snoop's Potluck Dinner Party next episode air date provides TVMaze for you. EpisoDate.com is your TV show guide to Countdown Martha & Snoop's Potluck Dinner Party Episode Air Dates and to stay in touch with Martha & Snoop's Potluck Dinner Party next episode Air Date and your others favorite TV Shows. Add the shows you like to a "Watchlist" and let the site take it from there.